Liverpool’s Brazilian goalkeeper can understand our foreign players speaking English better than our English players speaking English! According to Alisson, the various dialects used by our English players (Trent’s a scouser, Milner’s a brummie, Hendo’s from Sunderland) make it actually more difficult than broken English used by the many foreigners we have in the first-team squad. “The British accent is hard for me to understand. In Brazil, we’re used to hearing American-English,” he said, reported in the Star. “It’s been easier to understand my non-English teammates speaking English than the local ones. “Hopefully, I can improve my vocabulary. “It’s been easier to adapt to England than it was moving from Brazil to Italy, probably because I’m more mature and experienced now. If Alisson is struggling with communication, he’s managing to hide it very well! The manner in which he commands his defence is exceptional and he provides us a huge presence between the sticks. He currently has 12 clean-sheets in the Premier League, meaning he’s leading the race for the Golden Glove in his first season. Of all our summer signings in 2018, he’s undoubtedly made the biggest difference. To think, there were times under Jurgen Klopp when our defence was rated as one of the worst in the top flight. 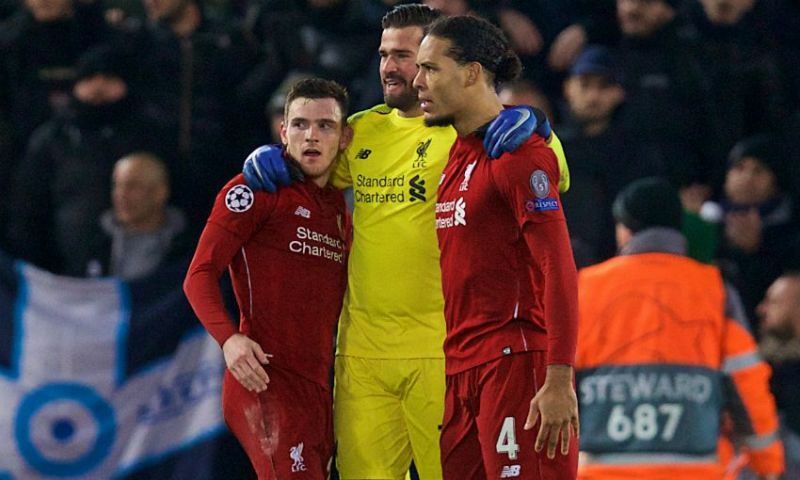 Now, it’s up there with anything Europe has to offer – thanks to Virgil van Dijk’s acquisition, the emergence of Trent Alexander-Arnold and Andy Robertson at fullback and Alisson’s presence in goal.